Zuzana 2 | KONŠTRUKTA – Defence, a.s.
home | Projekty |Zuzana 2 | KONŠTRUKTA – Defence, a.s.
ffective re by both direct and indirect aiming. “Standardization of Elements of 155 mm Howitzers and Ammunitions”. Electronic equipment, diagnostics and automation of operations during loading and firing rank this weapon among the most advanced weapon system in the world. The weapon is equipped with the inertial navigation equipment and muzzle velocity radar. On-board FCS enables to operate with digital maps. For direct fire the weapon is equipped with aiming system consisting of TV camera, thermal image camera and laser range-finder. The weapon is equipped with additional optical sight for manual aiming. Various communication equipment can be installed in accordance with the customer´s requirements. 155 mm ammunition compliant with the NATO standards is used for firing. The ammunition is stored in the conveyers which are capable to carry 40 projectiles and 40 powder charges ready to fire. Beds in the conveyers are universal for all the projectiles and powder charges used in the service. It is possible to store new types of projectiles of the length up to 1000 mm in the projectile conveyer and load them by means of automatic loading mechanism. The ballistic protection of turrets against the direct fire and the fire at± 30° angles meets the STANAG 4569 Level 2. 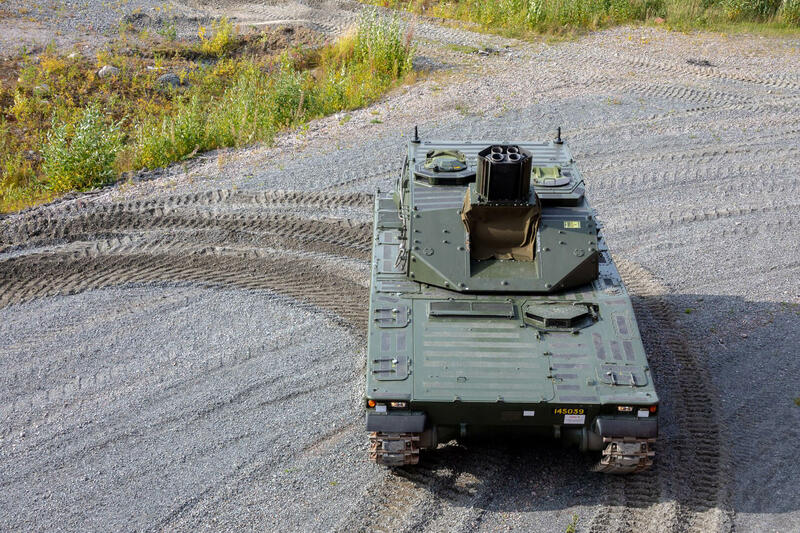 The power supply unit which provides electric and hydraulic energy for the drive of the turret aggregates and partially for the chassis aggregates without the need to run the chassis engine is placed between turrets in the rear.